When we think about building muscle, the first thing that pops into most people’s minds is PROTEIN! Especially when eating only plants! “Where do you get your protein?” is a common question. 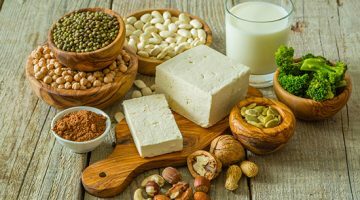 There is an ingrained belief within the fitness industry that in order to build muscle and get stronger, we need protein (especially animal protein) as our primary and often singular focus for growth. Don’t get me wrong, protein is important. It is a precursor in muscle growth, BUT it is not the ONLY precursor or important variable either. It’s part of a system of components that come together to create the perfect muscle-building storm, and in this article, I will explain how and why you can afford to drop your high protein intake to actually make more gains. First and foremost, realize that the commonly suggested protein requirements most people think are needed to build muscle within the fitness industry are often totally excessive. All we are doing is allocating excess calories to a single nutrient that is ONE part of the muscle building equation, over-saturating that one variable to the point of excess waste and byproducts, when we could be more strategic and maximize all the variables, not just one. More protein doesn’t necessarily equate to more muscle; there are more factors at play than one nutrient. Your average-looking gym goer drinking protein shakes all day is an anecdotal example of this. The standard notion of 1 gram to 1.5 grams per pound of bodyweight, for example, is for most average people totally excessive and unnecessary. That would put a person like myself at around 210-300g of protein per day. Whoa. Overkill. Some people go even higher than this with the notion that more must be better. How often is this not true! Especially when cutting calories, it leaves fewer alternative fuel sources and key phytonutrients that can help boost your performance. There are so many various conflicting research papers that show differing results, so understand first off that your goal, expertise level, output, and disease state all play a role in this. That being said, I want to share with you my own experience along with those of my clients and friends, coupled with some basic understandings of the research, to give you a kick-start toward adjusting your own protein intake to further your gains. Here are a few cited research examples. Tarnopolsky et al. (1992) observed no differences in whole body protein synthesis or indexes of lean body mass in strength athletes consuming either 0.64g/lb. or 1.10g/lb. over a two-week period. Protein oxidation did increase in the high protein group, indicating a nutrient overload. Walberg et al. (1988) found that 0.73g/lb. was sufficient to maintain positive nitrogen balance in cutting weightlifters over a seven-day time period. Tarnopolsky et al. (1988) found that only 0.37g/lb. was required to maintain positive nitrogen balance in elite bodybuilders (over five years of experience, possible previous use of androgens) over a 10-day period. 0.45g/lb. was sufficient to maintain lean body mass in bodybuilders over a two-week period. The authors suggested that 0.55g/lb. was sufficient for bodybuilders. Lemon et al. (1992) found no differences in muscle mass or strength gains in novice bodybuilders consuming either 0.61g/lb. or 1.19g/lb. over a four-week period. Based on nitrogen balance data, the authors recommended 0.75g/lb. Hoffman et al. (2006) found no differences in body composition, strength, or resting hormonal concentrations in strength athletes consuming either 0.77g/lb. or >0.91g/lb. over a three-month period. You can read the more in-depth blog and explanations behind this here. So often, those high-protein suggested intakes are more fear based than science based — it is fitness industry hype and guesswork. The best way to know for sure is to DO IT yourself, implement it, and see. Believe me, anyone whom I have coached or guided to do this has always had great results when we tapered protein down from the high amounts and then added various other nutrient sources to boost performance, recovery, and hormone profiles. It is the paranoia around muscle loss that keeps people stuck. Beyond that, I want you to understand that incorporating other macronutrients and micronutrients into your nutritional equation is the KEY for building more muscle and strength with less protein. Keep in mind, the focus being on how the body partitions and assimilates nutrients by elevated and optimal hormone responses. What this means in simple terms is that hormones are like the body’s software. 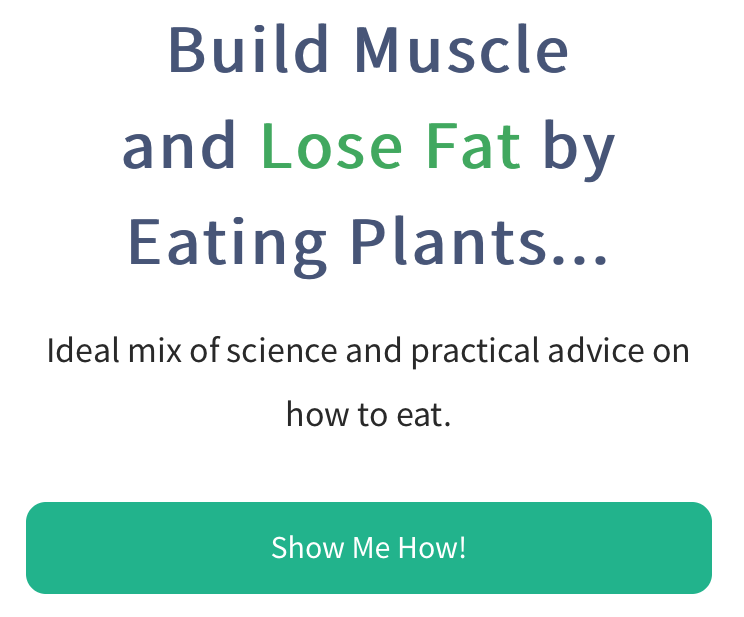 They take protein, carbohydrates, fats, and micronutrients and allocate them toward specific jobs, like building muscle, fat stores, bone regeneration, brain function, and hair and skin growth. Your hormone profiles on many levels dictate what your body does with protein anyway. So why not optimize these variables so you become more effective at using the protein to begin with? 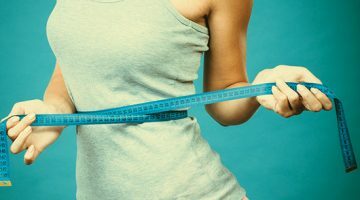 It is primarily why someone who is obese vs. someone who is very muscular can have the same diet and calorie intake and even the same height and body weight (with vastly different body compositions). Yet, their bodies both assimilate and partition the nutrients very differently due to various hormone profiles like testosterone, estrogen, thyroid, and insulin sensitivity. It is also why men and women have different body compositions — the hormones and partitioning ratios dictate over protein intake and calorie intake. The way to optimize hormones in the body is by putting optimal health FIRST, which means a lot of micronutrient-dense plant foods. The more dense and wider range you can get and the less processed garbage you consume, given time, your body will become more responsive. The point is, if you can optimize your internal systems through micronutrient-dense foods, then this often gets the job done. The body simply becomes more efficient at using fuel. That is the goal here: efficiency. It is important to realize that in order for us to actually perform well in the gym and create progressive overload (being able to lift more weight or more reps for weight each week), we need some form of high-octane fuel. My go-to macronutrient source for heightened performance is always going to be carbohydrates. Just think when you were a kid, what did they give you to drink while playing sports? Gatorade and Powerade? Now these might not be the healthiest options, but they are fast-acting carbohydrates, designed to push sugar into the system to fuel performance. In some cases, depending on the goal and challenge, fat could be used as a fuel source too. This is where it varies, but know it is never just about protein intake. Most people in the fitness world are carb phobic, especially the Paleo and Ketogenic crowd, which comprise mostly of people who aren’t Vegan. It’s just what they’ve been taught. They will even add loads of protein into pre-workout meals, which in my view is not fueling performance, just increasing digestive function, which then impairs performance. Think of our blood as the primary transporter of fuel to our systems. It shuttles oxygen to muscles, breaks down glycogen into glucose for energy, and pushes blood through our heart faster and into our lungs to increase oxygen uptake. Digestion takes up a huge amount of blood volume and metabolic energy. So, adding extra protein sources and food to meals through fear of going catabolic just allocates more metabolic energy toward digestion and less to performance and output. We need to optimize and time our digestive function just right so we can channel as much energy into performance, endurance, and mechanical strength as possible. If you time your carbohydrates and fats, fiber, and micronutrients around your workout and daily routine, you will get fewer cravings, better controlled sustained energy levels, and better pumps in the gym. More strength and recovery result in better muscle growth with a well-rounded plant based diet. I often get asked, “When is the best time to get my protein for my workout, before, during, or after?” There is no real timing or strategy with most people — it’s just an over saturation. A blanket approach with the idea is, “I’m not really sure what I need, how much I need, or when I need it, so I will just throw everything at it, including the kitchen sink.” While this can work, believe me, it doesn’t yield the BEST results you could get either. So, let me explain a bit more about timing. Let’s say you are at 1 gram of protein per pound of body weight (200 lb. ), so approximately 200g of protein per day. For the time being, forget the total calorie intake too. For all intents and purposes, let’s say you drop to 0.64g/lb., approx. 120-130g. You now have about 280 extra calories that you can now time in and around your workout to help you overreach and overload the amount of weight and reps you can do — and therefore, outperform, which is key for muscle growth. For example, let’s take that 70g of protein lost and replace it with 70g of carbohydrates. We could do two servings of coconut water (we recommend this) during the workout for electrolyte replacement (90 calories). This leaves us with 190 calories of fruits, along with any whole food plant protein like sweet peas or shelled edamame we can pack into a post-workout smoothie for glycogen and amino acid replacement, helping with recovery and driving more sugars and vital nutrients to repair muscle tissue. This helps you train harder and lift heavier, which creates that vital progressive overload needed to even build muscle in the first place. Research indicates that even setting protein requirements at 0.64g/lb. 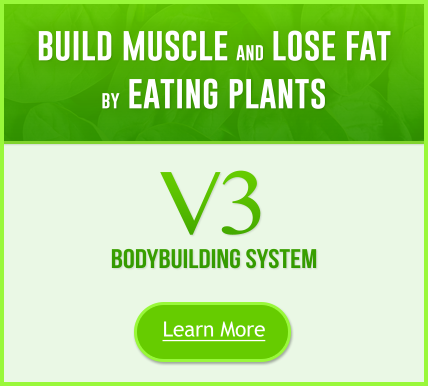 has shown NO muscle loss or lack of nitrogen retention. Obviously, total calorie intake comes into play here too, which is the next point. When we are either trying to gain muscle or get leaner and hold muscle, allow protein intake to move up and down like a sliding scale as your total calorie intake tapers up or down. The reason for this is just logistics. It’s much easier to focus on one variable change than to try and coincide two together: focusing on total calories going up and down over total calories + every single macronutrient ratio remaining totally intact. Again, if you are that 200 lb. guy going from 120-160g of protein based on total calorie intake increasing or dropping, it is fine, it’s what I do! This is another strategy to building more muscle with a lower intake, even when we are sometimes in deficit too. Beyond the calorie deficit are peaks/calorie spikes where by you can “refeed” (a higher calorie meal or day) and fuel up around workout time to really enhance performance. Traditionally, when people are trying to get lean, they pull carbs to try and drop water weight, and by doing so, replace those lost calories with protein. If the calories are uniform each week, protein remains high and carbs low. It doesn’t have to be this way, but it is how most fitness people approach things. If you cycle through periods of calorie deficit (example, 1800 cal. ), calorie maintenance (example, 2200 cal. ), and calorie surplus (example, 2600 cal.). You can use the sliding scale approach with your protein, so dipping lower on a deficit day won’t be an issue like people think, because you come back up to maintenance and peak into spikes of surplus calories/protein at strategic times during your training week. It also allows for the body to rest and digest (on lower calorie days), enhancing the parasympathetic nervous system on rest days to bring stress responses down and allow the body and gut to regenerate. Then it spikes higher into a caloric surplus on days where you need to over reach and train hard (a hard leg session, for example). This way, you allow the body to tap into fat stores and heighten insulin sensitivity on rest days, which then helps partition carbohydrates more effectively anyway — and on training days, you fuel yourself for maximum performance, so you can create more progressive overload during your training. Calorie cycling with a sliding protein target and not stressing over the tiny details is a great way to make gains without the constant fear and obsession about grams of protein. This way, your protein intake can be set lower, and by spiking carbs and fats on certain days, you fuel performance and output. Realize that once your body adjusts to a higher carb ratio (but also be aware of your sodium intake alongside this), you won’t retain water like you may have in the past. It’s like someone who is dehydrated in an attempt to dry out for a competition. If they spent a long time dehydrated coming into their show, they can often end up holding MORE water. The way to shed more water is to consume MORE, so the body doesn’t struggle to find balance when you pull it suddenly right at the end. The same rings true for macronutrients too. Give the body time to adapt and it will, but keep changing up the variables, and the pendulum will swing wildly as the body tries to find homeostasis (balance within the body). When it comes to undulating calories to help you overload during your training sessions, think of all the macronutrients as a sliding scale. What I mean by this is that yes, you can fix your protein intake at a certain number and just add in more carbohydrate and fats, but often a lot of plant foods come with some protein too. So to allow for a wider, more diverse range of food choices, be okay with your protein intake peaking and dipping as your calorie totals do. Now obviously, this is just for demonstration. Some people might elect for more fats or taper their protein up more depending on their body composition and training output. The take home point is: be okay with your protein intake sliding up and down a scale to allow for the inclusion of more plant foods into your diet. You can keep it fixed and add in more fruits too; a lot of this will come down to your own unique biofeedback and how your body and hormones handle the various nutrients. I coach people on an elite level, high-performing business people, and I would tell them to not stress over total calorie adjustments AND try to hit specific macro ratios too. It becomes so time consuming and stressful trying to find foods and measurements to make it all fit. As I said earlier, focus on total calorie adjustment and allow for a sliding scale (a range) of your macronutrients. Take-home point: Protein can dip and peak based on your calorie intake, and if done right, you lose no muscle. In fact, you gain some. It is important to understand not all carbohydrates or fats are created equal and that different kinds of carbs will play different roles in the body based on when they are used. Think of these two macronutrients like fuel sources that enable us to perform at a higher level. I generally consider carbohydrates like an explosive fast-acting fuel source perfect for acute bouts of high performance. Fats are a more sustained release energy source, ideal for longer endurance work or stable blood sugars through the day outside of the training session. A key mistake I see people make when trying to get lean is they pull their carbs or fats right down and increase protein, with the notion that more protein will have a muscle sparing effect and that is all we need to focus on. While in some cases, this is true, the lack of carbohydrate and fats for training often means the person loses strength. Stamina drops. The workout capacity decreases, and this is the perfect environment for no muscle gains and even some muscle loss, because the progressive overload aspect to muscle growth is absent as the body adapts, sometimes in a way we do not want. Our body tends to hold muscle best when there is a physiological need for strength and regular stimulation. As your strength drops via lack of fuel to progressively overload, so too does the need for high levels of muscle mass. Now, it’s not to say if you lose strength, you lose muscle. Sometimes this is a nervous system recruitment response, but the best way to make amazing muscle gains will always be progressive overload in the gym, and the best way to fuel that is with carbohydrate and fats and bringing that high protein intake down to allow for that. Alongside carbohydrates, we have to factor in micronutrients (Minerals/Vitamins). Most fitness people think in the realm of macronutrients (Protein/Fats/Carbs) only, often not paying attention to vitamins and minerals and how they can help us recover, over-reach in the gym, and give us the ability to contract our muscles with more force and duration. Without a well-rounded micronutrient intake in your diet, all the protein in the world won’t build muscle optimally, because we will be in a constant state of under performance in the gym needed to stimulate muscle growth. A great example of this is the mineral sodium. Sodium is looked upon by most people as a bad thing, but in the right amounts at the right times, it is a powerful weapon. The amount of times I’ve heard someone say, “Oh crap, I’m losing strength, I must be losing muscle, do I need a second protein shake! ?” Sigh. I remember watching a video by famous powerlifter/bodybuilder Stan Efferding. Though he is far from Vegan, he made a fundamental point about the need for micronutrients in relation to sodium before a powerlifting meetup. He had been dehydrating to try and cut water weight to qualify for his weight class and with that, lost sodium (electrolyte) levels in his system. He began to cramp and lose strength during his opening lift and barely made the lift. It wasn’t a strength issue, he had the strength base, it was a software issue. Sodium plays a key role in muscle contraction, and without that, we cannot overload or over reach. If you have good sodium levels in your diet with a focus being right around training time, you won’t need that extra protein shake! It’s not the cause or solution. It is a lack of micronutrients. Micronutrients are another term for vitamins and minerals, from Vitamin A, B, C, D, and so on to magnesium, iron, calcium, potassium, sodium, and many more. A great way to see your micronutrient intake is to track for food in an application like Cronometer. This way, you can then troubleshoot the low areas, get them optimal so you can recover faster, improve sleep, improve strength, and as a result of all of this, grow some more muscle — and potentially get leaner in the process. The average fitness goer or training will always overshoot their protein requirements. I have tested the theories in this blog on myself over years and countless clients with great success. It is one thing to read something on the internet and tout it as absolute truth. It is another thing entirely to get in the trenches and live it. 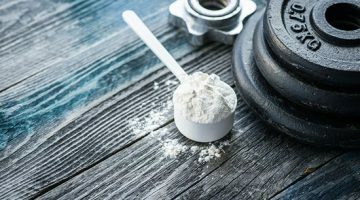 Do not let the fear of muscle loss or the supplement industry push for you to buy protein powder out of your eyeballs. It is a money-making industry backing this way of thinking. There isn’t profit to be made in eating whole plant foods to get minerals and vitamins! But there sure is money to be made in protein powders, drinking dairy, and eating meat pushed by animal agriculture research funding to promote the “need” for these products. Connect the dots. At the end of the day, plant-based proteins like animal proteins are all just chains of amino acids. You can still get the same results and effects using plant-based proteins over animal protein. Do not buy into the belief that plants are less superior. I believe they are far more superior. Adapt, test, and master your own calorie cycle; allow for your protein intake to move along a sliding scale as your total calorie intake goes up or down. Get a wide range of micronutrients and food choices in your diet to help boost recovery and performance. 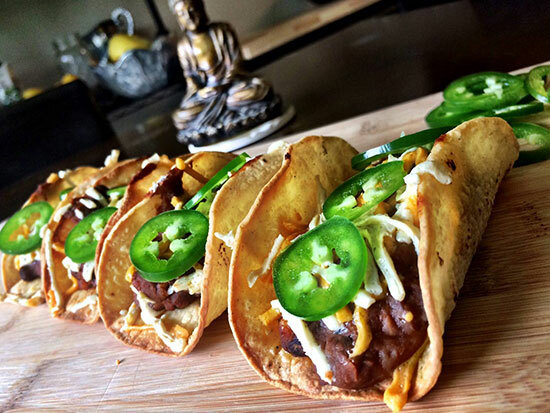 Avoid eating one dimensionally like a lot of fitness people do. Time your food choices the right way. Certain foods used at certain times can enhance output and muscle growth. You can interchange fats with carbs once your protein intake drops based on your goal, output, and needs — don’t be locked into one paradigm of thinking. Use a tracking app like Cronometer to track your food to see where you can optimize mineral and vitamin numbers. Track your performance in the gym: weight lifting, circumference measurements, and so on. Tracking these things is feedback, which gives you means by which you can adjust your diet, nutrient timing, and calorie intake to make some serious vegan gains, all with less protein! If you are truly paranoid about muscle loss while tapering protein down, just use a good BCAA supplement while you work out. I suggest Clean Machine BCAA, as it is a high-standard vegan brand, owned and operated by a vegan of 31 years. 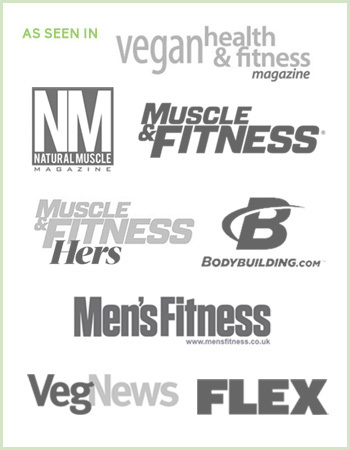 Fraser Bayley is the founder Plant Strong Fitness and Evolving Alpha and a contributing writer for VegetarianBodybuilding.com and other fine plant-based fitness publications.